Results from a number of studies suggest that the delayed manifestation of acute kidney injury (AKI) is associated with higher in-hospital mortality, while other studies were unable to demonstrate any difference among early and delayed AKI in terms of in-hospital mortality. 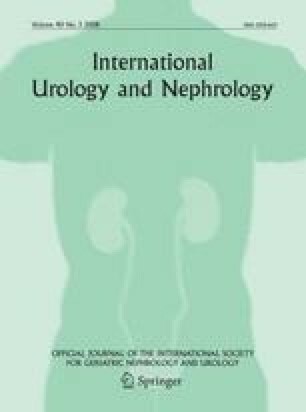 The aim of this study was to investigate differences in outcome among patients with AKI upon admission to an intensive care unit (ICU) and those who develop AKI post-admission. We studied patients with AKI secondary to infectious diseases admitted to the ICU. We retrospectively compared data on patients admitted with AKI (early AKI) with data on those who developed AKI 24 h after admission (delayed AKI). Acute kidney injury occurred in 147 of 829 (17.7%) patients admitted to the ICU. Of these, 96 (65%) had early AKI and 51 (35%) had delayed AKI. Renal failure was classified according to RIFLE criteria—an AKI-specific severity score that is used to place patients into one of five categories: risk, injury, failure, loss or end-stage renal disease. Based on these criteria, 6% of the early AKI and 4% of the delayed AKI patients were in risk category, 18% of the early AKI and 27% of the delayed AKI patients were in the injury category and 76% of the early AKI and 69% of the delayed AKI patients were in the failure category. We found no significant association between RIFLE and death. On admission, patients with early AKI had statistically significantly higher serum urea and creatinine levels than delayed AKI patients (P < 0.0001). Arterial bicarbonate was lower in early AKI (P = 0.02). Sepsis, hypotension and use of mechanical ventilation were more frequent in delayed AKI (P < 0.05). The APACHE II score was higher in early AKI (P = 0.05) patients. In total, 98 (66.7%) patients died, with a tendency towards higher mortality in patients with delayed AKI (61.5 vs. 76.5%, P = 0.07). Mortality among patients with infectious diseases-associated AKI admitted to the ICU is high, with a trend to be higher in those who developed delayed AKI. We are grateful to the physicians’ team, residents, medical students and nurses of Hospital São José de Doenças Infecciosas for the assistance given to the patients and all the technical support needed for this study. Cristina Nogueira Marques received a grant from PIBIC-UFC (Institutional Scientific Initiation Grants Program from the Federal University of Ceará, Brazil) to develop this research.